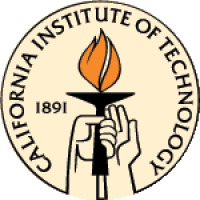 The California Institute of Technology is a private, coeducational research university located in Pasadena, California, United States. Caltech maintains a strong emphasis on the natural sciences and engineering. Caltech also operates and manages the Jet Propulsion Laboratory, a NASA organization that oversees the design and operation of many unmanned space probes. Caltech is a small school, with only about 2100 students (about 900 undergraduates and 1200 graduate students), but is ranked in the top 10 universities worldwide by metrics such as citation index, Nobel Prizes, and general university rankings. NOTE: CosmoLearning is not affiliated or endorsed by California Institute of Technology. This page is only intended to credit this content provider for their educational content being included on the CosmoLearning site.